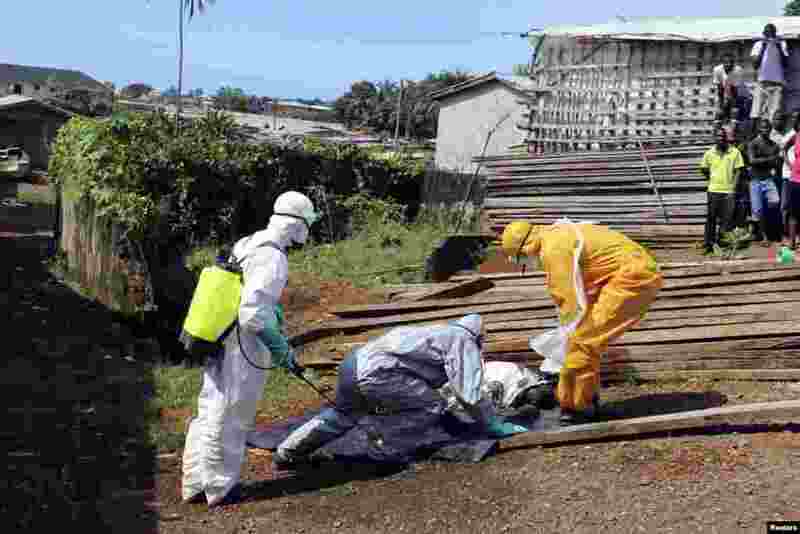 5 Health workers remove the body of a woman who died from the Ebola virus in the Aberdeen district of Freetown, Sierra Leone, Oct.14, 2014. 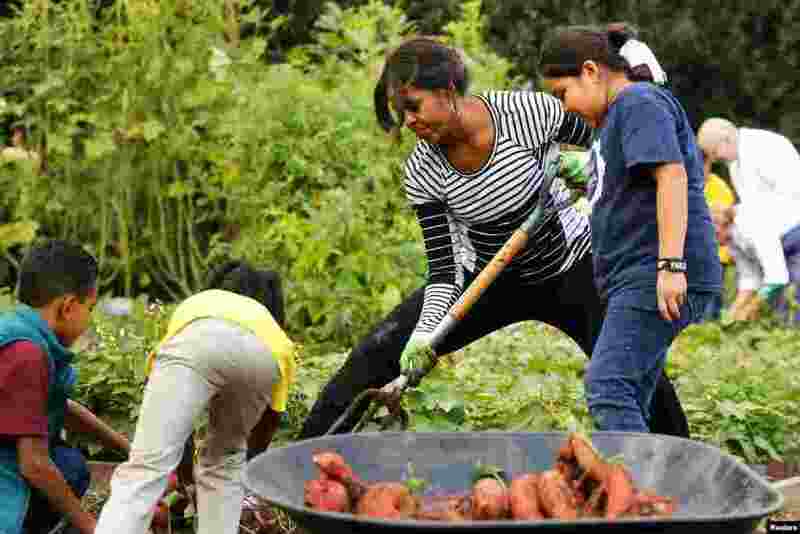 6 U.S. first lady Michelle Obama harvests vegetables from the White House kitchen garden with schoolchildren in Washington, D.C., Oct. 14, 2014. 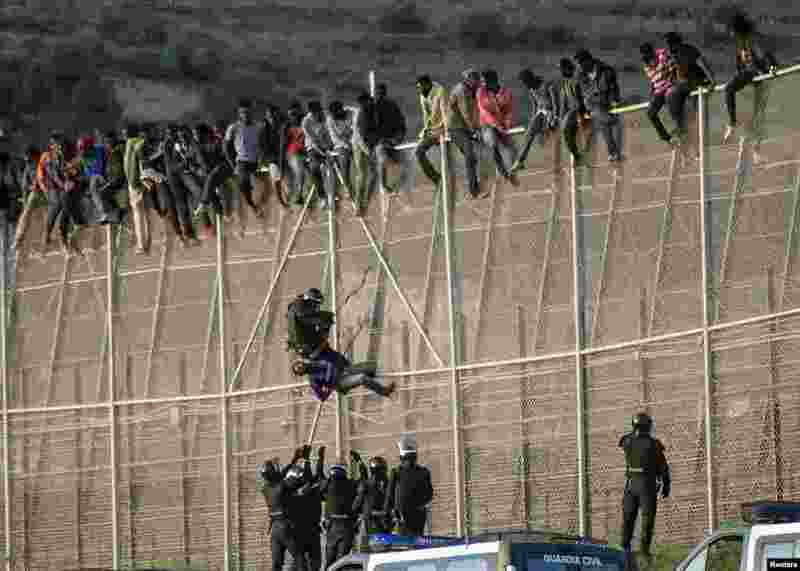 7 A Spanish Civil Guard pulls an African migrant from a border fence during an attempt to cross into Spanish territories, between Morocco and Spain's north African enclave of Melilla. 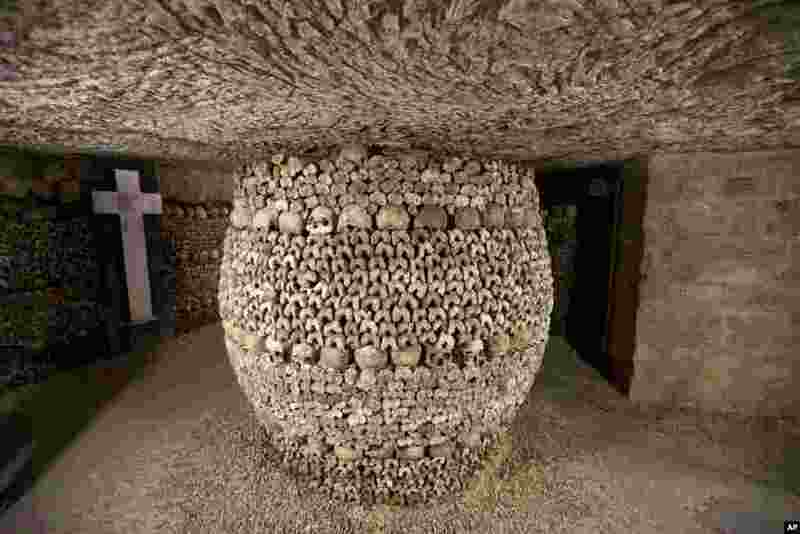 8 Skulls and bones are stacked at the Catacombs in Paris, France. The subterranean tunnels, stretching 2 kilometers (1.24 miles), cradle the bones of some 6 million Parisians from centuries past and once gave refuge to smugglers.